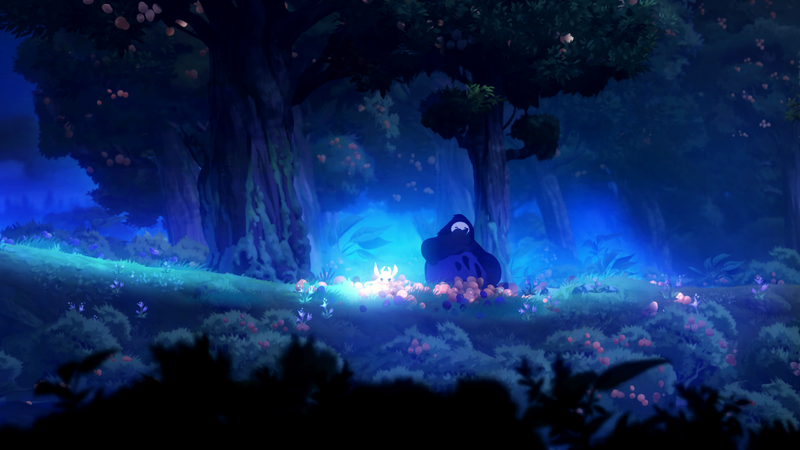 Perhaps one of the biggest surprises from E3 2014, was the charming announcement trailer for Ori and the Blind Forest. Like most, I had succumb to the beautiful art, orchestral score, and loving bond between the two characters shown in the trailer. Even if it ended up only being something beautiful to experience, I was down for that. 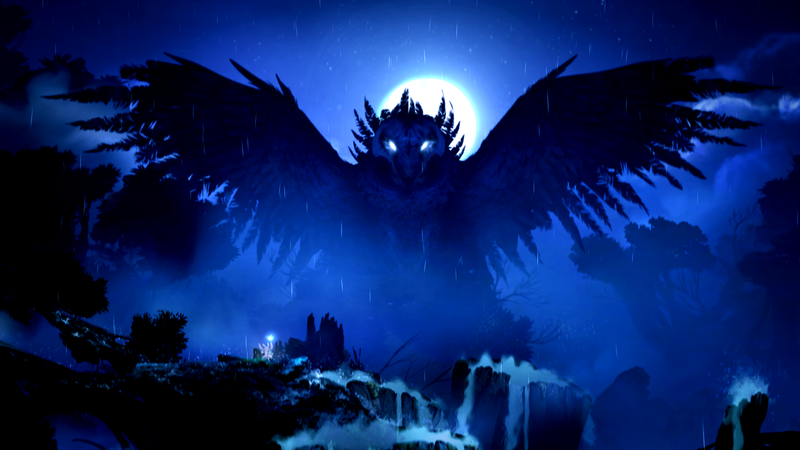 Surprisingly, Ori and the Blind Forest not only exceeded every expectation I had, but proved to be one of the most challenging 2D platformers I’ve played. 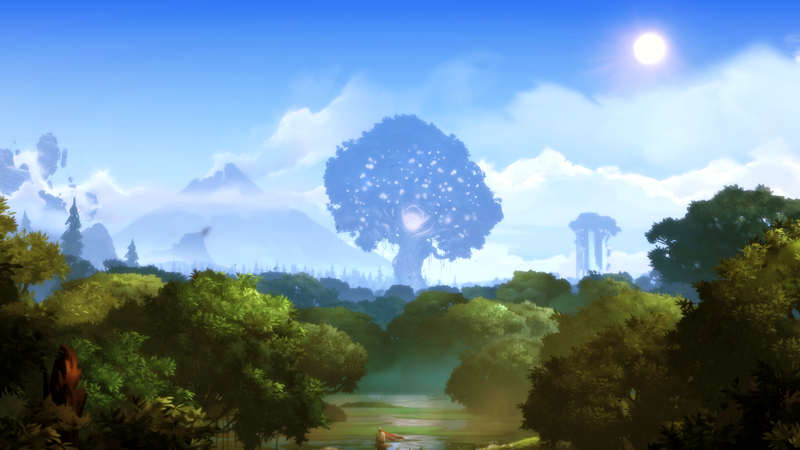 The first ten minutes of the game pull at the old heart-strings similar to Pixar’s film, Up. 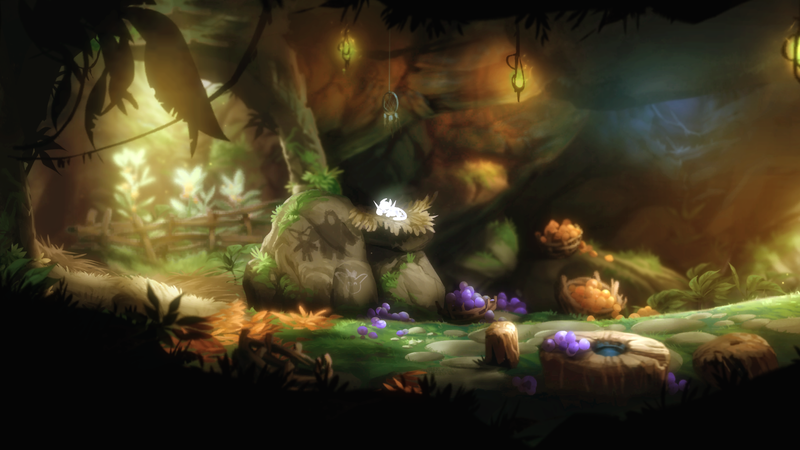 We’re introduced to this pair of adorable characters, who demonstrate selflessness and love for one another in a gorgeous forest landscape. When suddenly the “light” is taken from the forest, and everything begins to wilt and die. 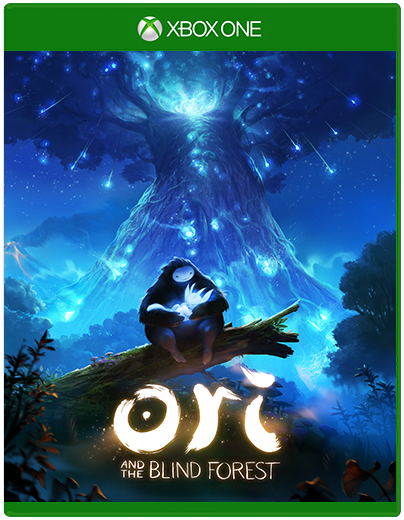 Ori, a glowing spirit like creature, is spared and set on a mission to restore the light to the forest by collecting a handful of elements. 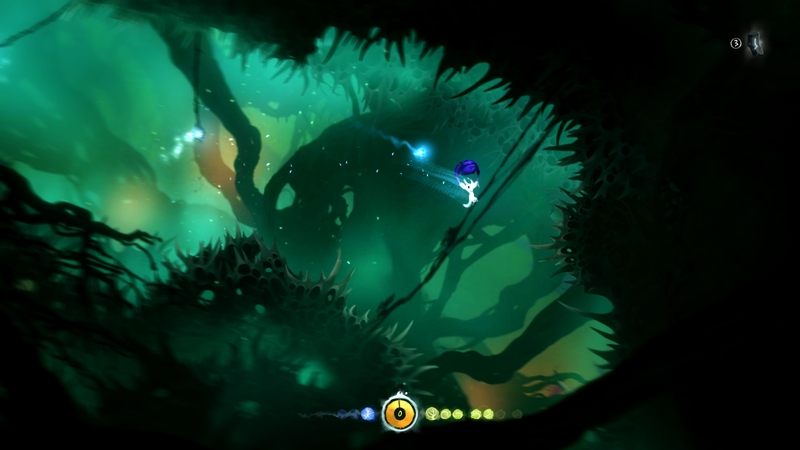 When he sets out, Ori can merely run and jump. 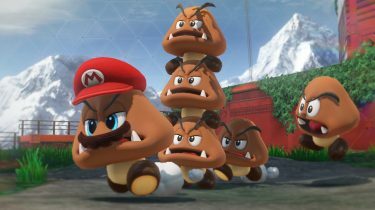 But in time, he gains several abilities which allow him to reach new heights, dash through the air, glide, stomp, and fire electric and charged bolts at enemies. 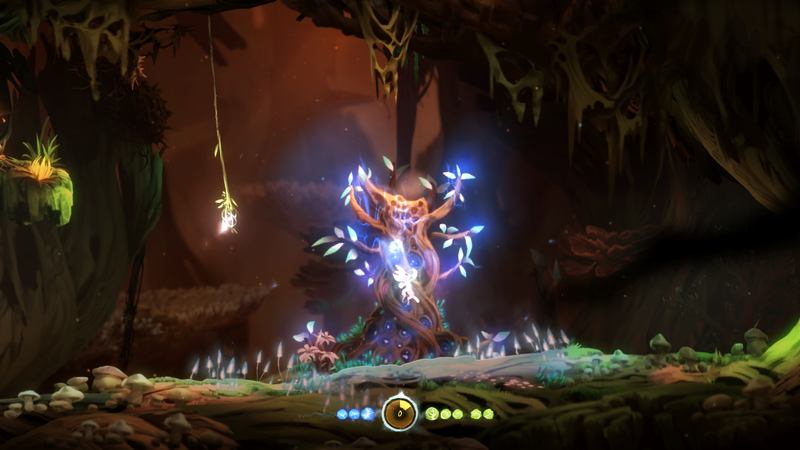 All of these abilities play crucial roles in Ori’s adventure, and you have no choice but to master each and every one of them. And you’ll be tested. Oh, you’ll be tested! 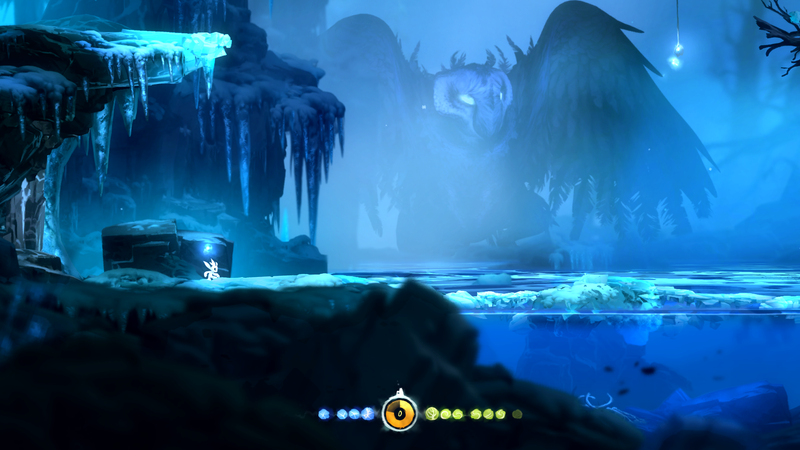 Ori’s world is similar to the old Metroid and Castlevania games. 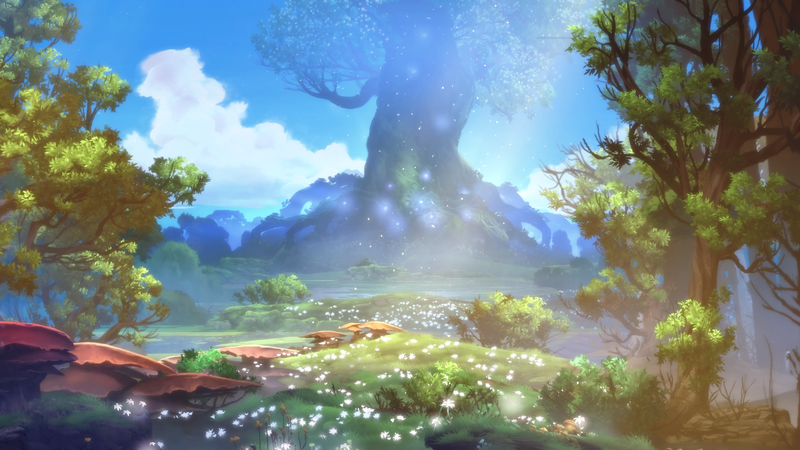 A large map which is revealed by finding map stones or exploring, and you come across several inaccessible areas which require certain abilities to be gained before accessing. 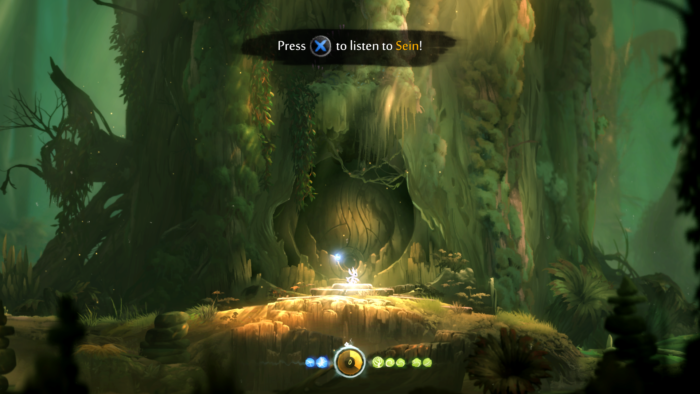 So there’s plenty of back-tracking and exploration. 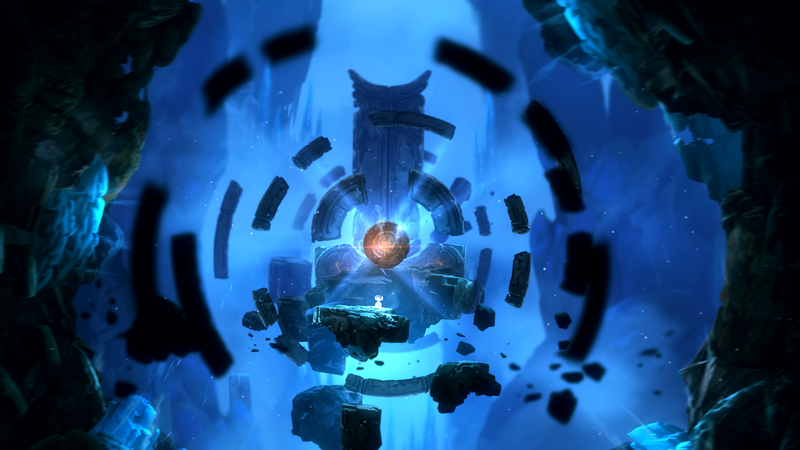 Before collecting an element, you enter more challenging areas, filled with puzzles and difficult platforming sequences, which end by punishing you relentlessly with even more difficult trial and error sequences that contain no checkpoints, and the ability to save is disabled. Did I mention that this game is challenging? It will also test your patience… a lot. When it’s all said and done, and you’ve mastered one of these sequences, the feeling of accomplishment is worth it. 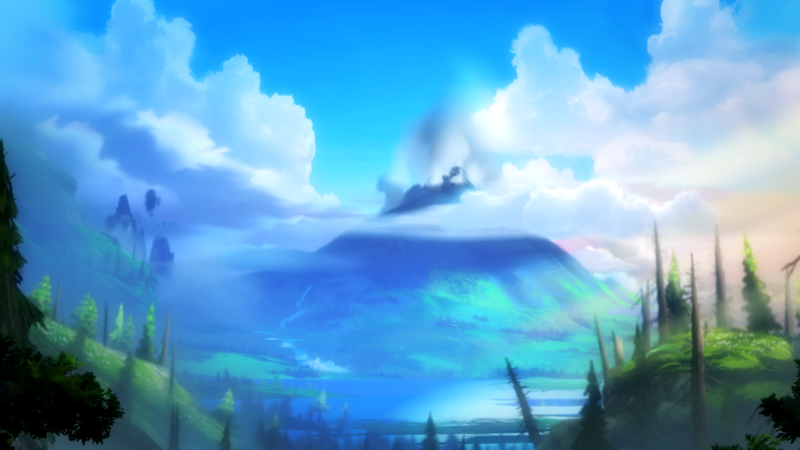 And there’s usually a beautiful cutscene that follows to rekindle your love for the game. 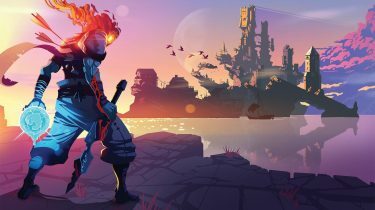 Aside from the difficulty spikes in certain areas, there were a couple other things that annoyed me a bit. I probably could have done without the combat all together. 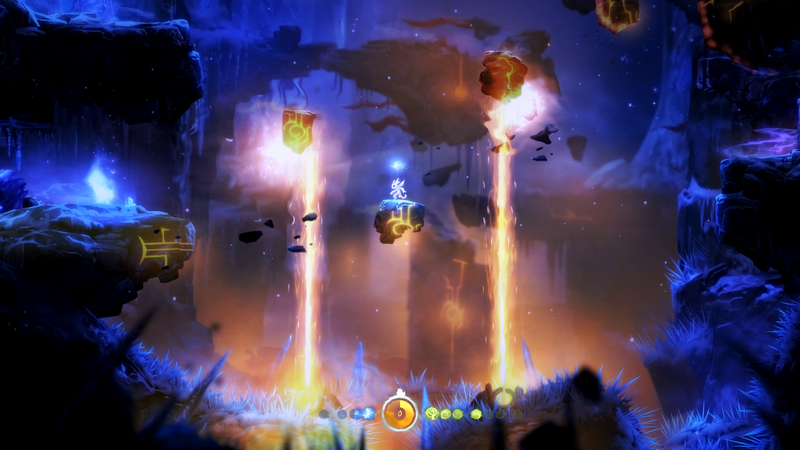 Ori has this electric bolt attack, which requires you to mash the attack button to perform. Enemies always require you to get in close to hit, then move away as they retaliate. Repeat a few times until they’re dead. 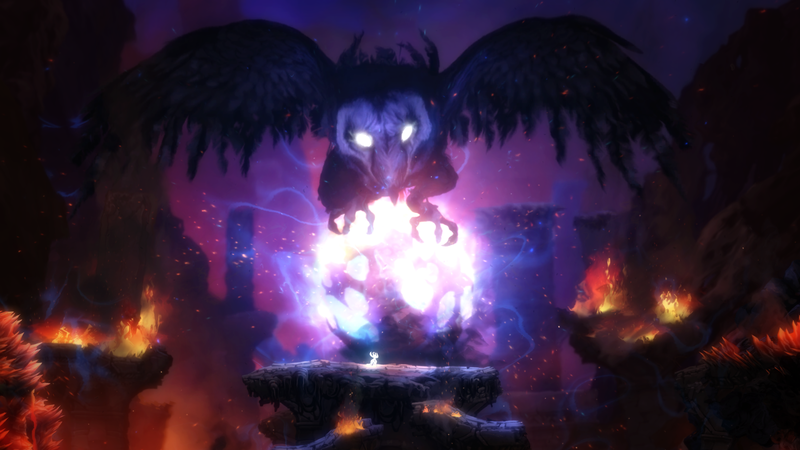 As you upgrade Ori’s attack damage and progress through the game, enemies become tougher, so you never really feel like you’re gaining strength. And once the game is done, you’re unable to go back and collect the things you missed. I have a few achievements that are at 80% completion, but I’d have to start a new game and in turn, zero my progress on those achievement in order to get them. Hopefully that’s addressed in a future patch. There isn’t too much more I can say about Ori and the Blind Forest. 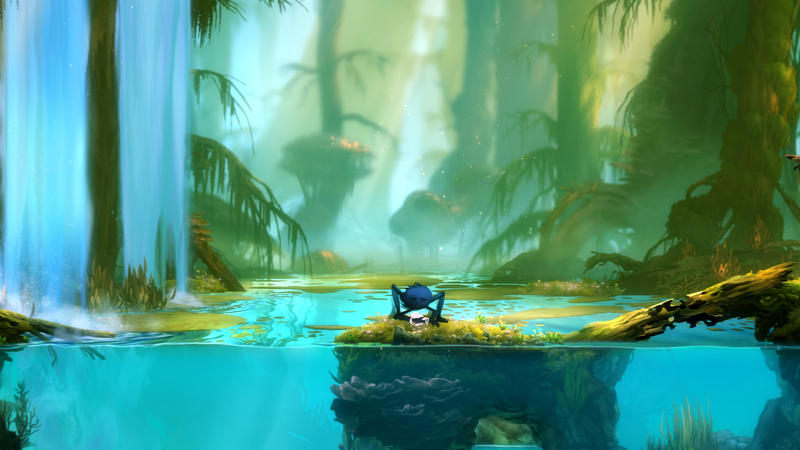 It’s as challenging as it is beautiful, and definitely worth your time, if you’re a fan of 2D platformers. It will test your patience, but in the best way possible. And the story itself — let’s just say, it’s not one I’ll be forgetting any time soon. 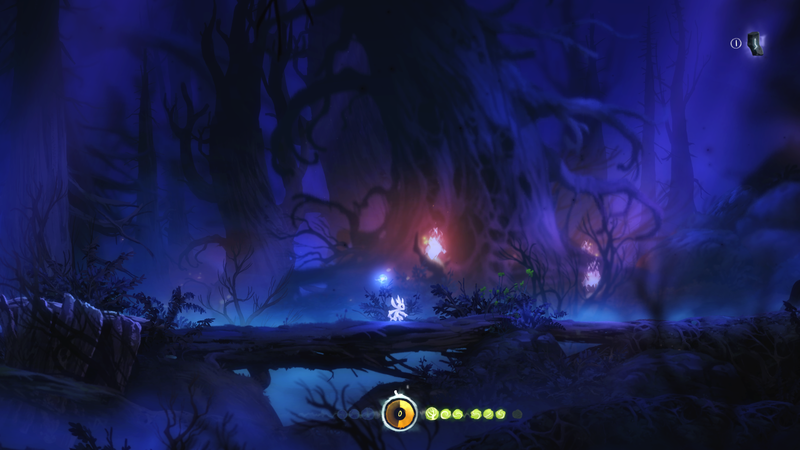 Ori and the Blind Forest is an instant classic. 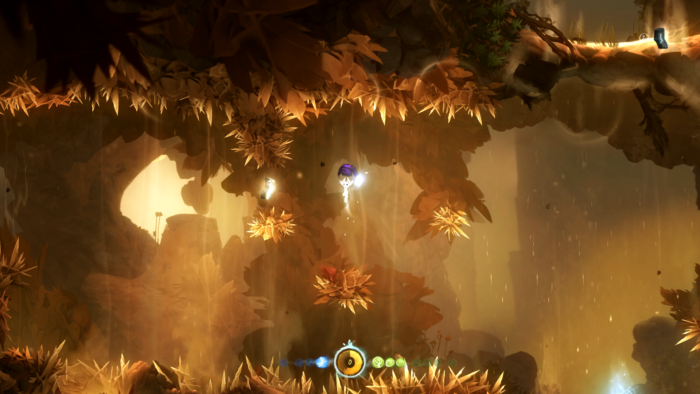 All images used in this review were captured via Xbox One’s screenshot feature.